Shawn “FMPONE” Snelling is a professional Counter-Strike: Global Offensive level designer and community contributor. 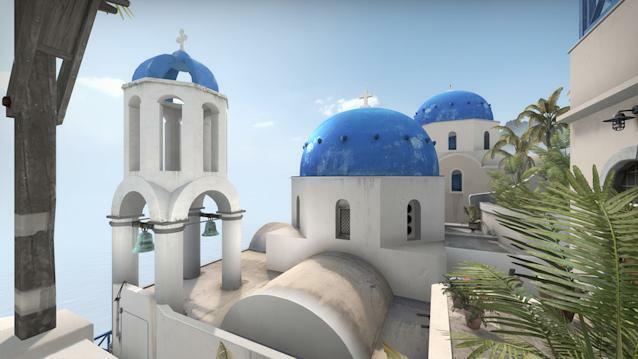 Snelling has had five levels in CS:GO, including his most recent project, Santorini, which was included in Operation: Wildfire. Snelling also collaborated with original authors Ted McIlwain on Season and Salvatore “Volcano” Garozzo on Cache. 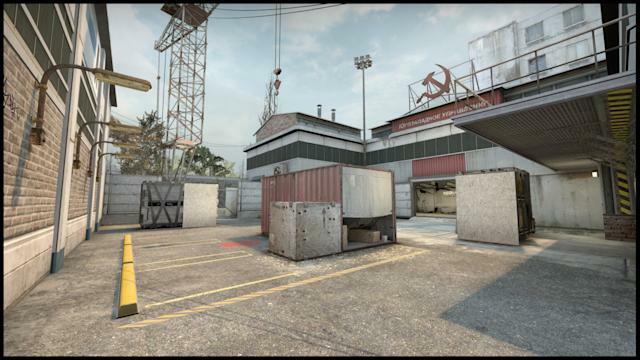 Yahoo Esports chatted with FMPONE about map creation, working with Valve, and CS:GO in general. So how’d you get started in map creation? I got my start making levels for the very first Call of Duty, just learning the level design editor there, and then released my first map for Day of Defeat: Source. What program(s) do you use to make maps? I use Hammer (the default level editor included with CS:GO), Photoshop for making textures, and I’m going to try to do more of my own modelling in the future. 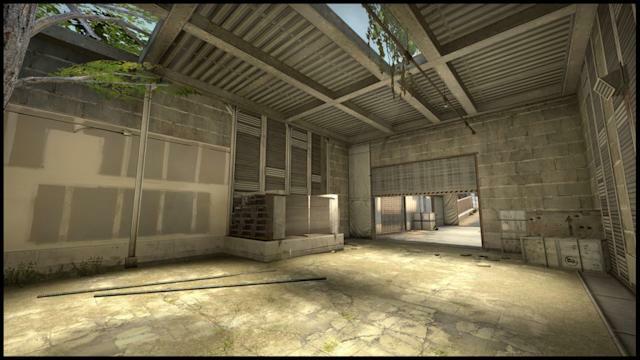 What was your first map like? My first level was called Anemia, and it was inspired heavily by some of the classic Day of Defeat maps, but honestly it was a lot of fun. I don’t think that map would have been viable in competitive matches, but then again Day of Defeat: Source was generally more casual and large-battle oriented to begin with. I hope Valve brings that franchise back soon. 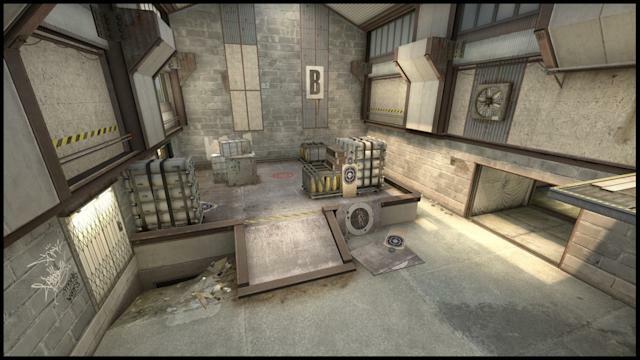 What do you think it takes to make a good map? Playtesting, a solid concept or idea (“this map will be mid-heavy!”), and attention to detail. Without any of these it’s easy to make mistakes that cost you in the long run. When you’re in the process of making a map, do you think a lot about balance and pathing? I think about it all the time. Some ideas you know aren’t going to work. What’s tricky are the ones that could go either way, or have a basis in other maps. 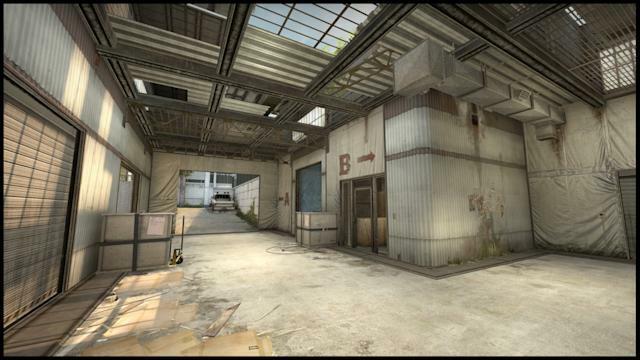 For instance, Dust2 has double doors, but should I use them anywhere in my map? There’s so many options in level design that you have to focus on what works for your own specific level and goals. What’s your most successful map? Or the one you’re the most proud of? I would say that the remakes I’ve worked on have been very successful, but I’m most proud of Santorini just because I can take a bit more personal ownership of it, and I think that’s something we all aspire to in our work. What’s it like when you finally see people playing on one of your maps? It’s kind of like a numbers game: you accept that 20% of people on any new map will whine simply because the map is new to them and they’re in no mood to learn. I’m only alarmed when the amount of whining seems higher than that, that’s sort of the canary in the coalmine for me. Of course it’s always cool to hear that people like your map, but it’s true that after a while one has to tune out praise in order to listen for that magic moment when someone provides a specific design idea – for instance, a player saying “they should just like raise this platform up.” When I hear anything like that it makes me so happy because, hey, someone put some thought into this, and now I’ve got something concrete to consider implementing. It makes me happy to play my work but equally happy to make it better. What about when it reaches the pro level and people start exploiting things like pixel boost and getting an advantage with unique strategies? After the “boostgate” episode, hopefully the pros will be hesitant to really exploit bugs and things like that against one another. People are generally good at discerning when a player’s behavior is exploitative or when it’s simply part of a strategy. I guess your question speaks to the gray area, but really a map like Cache gets a ton of play-testing mileage from being included in Matchmaking, so you hope that serious stuff will be reported before a major tournament. I definitely work extremely hard to ensure my maps are legit and ready to go. Can you make a living doing this? I make a living as a community level designer creating levels for Valve games, and other pro level designers can and are doing the same. I would name them but I don’t want to single anyone out. There is no doubt in my mind that the workshop will continue to give a return on Valve’s investment, so hopefully they continue making that smart investment. 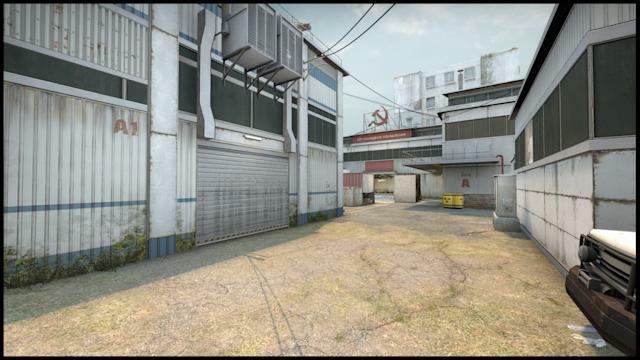 What do you think of the current map pool in the competitive scene? There isn’t a weak link there. Each map gets picked and has an interesting purpose. I was very critical of Nuke previously, but Valve’s new remake looks way more balanced, and is visually beautiful, so I’m sure we’ll see more of it very soon. The only question I would ask Valve is “Will you continue to recognize the value that the community is creating, even though players have affirmed that the seven Active-Duty maps are good maps?” Hopefully Valve recognizes that increased map pool variation and community involvement only adds vitality to Counter-Strike long-term, and hopefully they keep supporting us mappers. Do you communicate with Valve about some of your ideas? I try not to take up Valve’s time with too many of my ideas, but just communicate what needs to be said in order to make players happy: things like patch schedules and bug reports. They’re very smart and concerned for the game and the well-being of every player, so any communication has to be seen from that perspective. Can you tell me a little bit about the Mapcore community? I’m glad you asked! 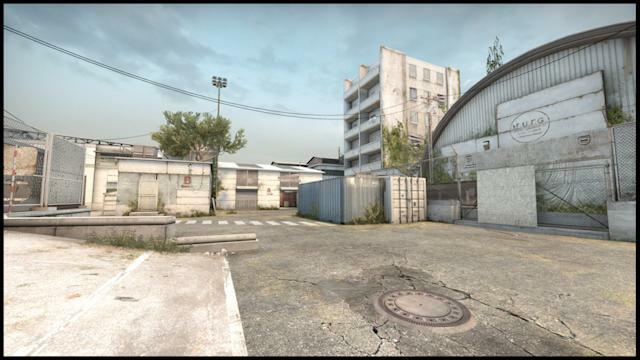 Mapcore is where I learned to do what I do. It’s a group of very talented level designers, environment artists, and game designers who all post on a very friendly forum and give each other tips and feedback. If you’re reading this, and game design stuff interests you, why not post on Mapcore or at least read it from time to time? Do you follow CS:GO as an esport? Absolutely! My favorite teams are Liquid and Luminosity, and Skadoodle is my favorite player. I always hope he succeeds. Do you work closely with any of the pros? I’ve worked extensively with Volcano in the past, and definitely learned a TON from him. I can’t say enough positive things about collaborating with pros based simply off of that one very fruitful interaction. The only issue with pros is that they’re generally extremely busy people. Snelling also mentioned to Yahoo Esports that he’s currently updating Cache. While most of the fixes are solely aimed to improve quality of life for the map, a sharp eye can spot some of the changes below. And to see more of FMPONE’s work, check out Shining Spaces. Dylan Walker is on Twitter @dyluuxx.